Puppies are ready for their new homes. There are sealed brindles in this litter. We are raising high quality, healthy AKC boxer puppies for family dogs, companions, family protection/security and watch dogs. We have beautiful puppies of good colors, conformation and personalities. 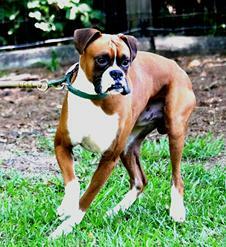 We are a responsible boxer breeder that cares about our boxers and our boxer puppies. You can't ask for a better dog than a boxer especially when it is a purebred AKC from Weepin Oaks Boxers. 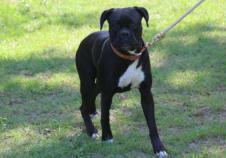 We are working with some of our boxers in the sport of Agility and Rally for dogs. In all that we do we are also preserving good quality bloodlines. Enjoy your visit at Weepin Oaks Boxers website! 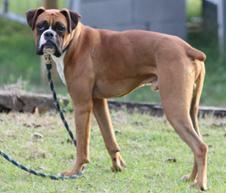 If you are looking for a responsible AKC boxer breeder, you have come to the right place. We're all the same; same people, same place and same boxers! barrel racers and pole bending. Our stud, Smoke has retired as he is getting up there is age (late-twenties). Our puppies are born indoors in a temperature controlled area. for the first eight weeks. before going to their new home. Please read our Waiting List page. It also gives you information about visiting. Check our Scheduled Litters page to see when a new litter is due. There is a page about prices, deposits and shipping. We do not give discounts. Look thru our pages to see the fine quality of boxers and quarter horses we have. We DO NOT sell to puppy mills, brokers, agents, pet shops or the entire litter to any one. We are active members in the Southeast Alabama Kennel Club. Please read our Contract, Health Guarantee and Puppy Purchase Agreement before you place a non-refundable deposit. We care about our puppies that we would want them returned if you no longer want them. This is so they will not go to a shelter or pound or be euthanized (because they are no longer wanted). has become a fast growing sport in the horse world. 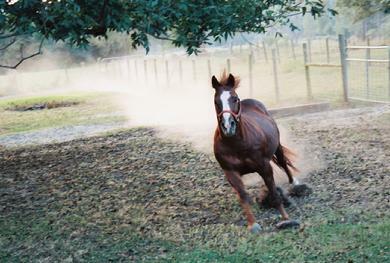 The action involved is hard riding, speed and sharp shooting while on horseback. while riding and shooting pistols or rifles. page to get connected to other websites. Both men and women can get into this competitive sport. This is fun and interesting to watch. 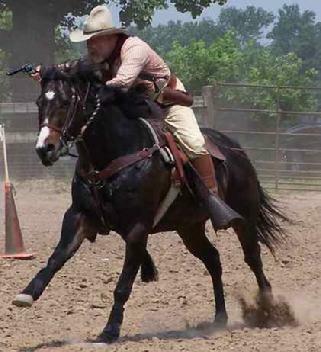 Go to and event and the skillful riders and their very well trained horses. You'll be glad you did! Relax, sit back & have a cup of tea, coffee or hot chocolate while looking through our website! new litter of boxer pups. Mahogany Brindle & Sealed Brindle puppies are slightly higher. A strong person knows how to keep their life in order. Even with tears in their eyes, they still manage to say "I'm okay" with a smile. The materials offered on this website are intended of educational purposes only. 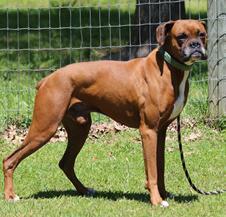 Weepin Oaks Boxers does not provide veterinary services or guidance. Please contact your veterinian in reguarding the care of your animals. Weepin Oaks Boxers always reserves first choice puppy after the litter is born for our breeding program. Then puppy buyers may choose 1st reserved, 2nd reserved and so forth.